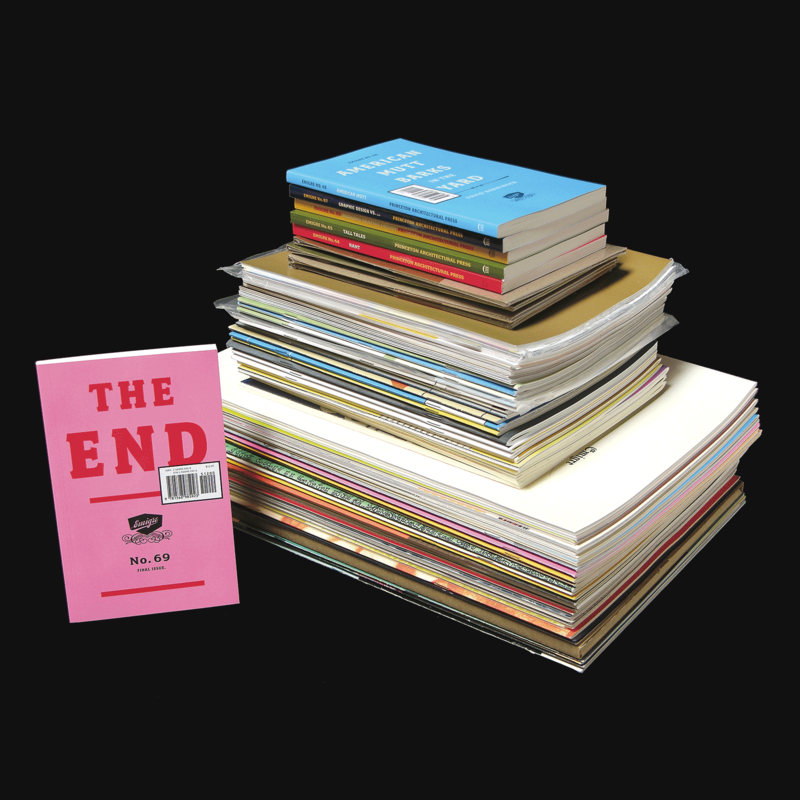 Emigre magazine was published between 1984 and 2005. A total of 69 issues were produced, sometimes on a quarterly basis, but more often irregularly. Issues #1 through #63 were published and distributed by Emigre, Inc. Issues #64 through #69 were co-published and distributed by Princeton Architectural Press, New York. Complete sets of Emigre magazine are in the permanent design collections of the San Francisco Museum of Modern Art, the Museum of Modern Art in New York, the Museum fur Gestaltung in Zurich, the Design Museum in London, and the Denver Art Museum.